A 68-year-old male with a history of heart failure presents with weakness, confusion, and visual disturbances including yellow/green halos and scotomas. Digoxin is on the list of current medications. Vitals are notable for bradycardia with a HR of 55. The patient is awake but confused. While your differential diagnosis may include calcium channel toxicity, beta blocker toxicity, sick sinus syndrome, clonidine toxicity, organophosphate poisoning, and other potential diagnoses, digoxin toxicity should be at the top of the list. You quickly recall how digoxin works: it inhibits the Na/K ATPase, causing intracellular sodium levels to rise. Sodium is then exchanged for calcium via a Na/Ca transporter. The intracellular calcium concentration is thus increased, thereby increasing contractility. Furthermore, digoxin also may increase vagal tone and can lead to bradyarrhythmias. You then obtain a digoxin level prior to treatment with digoxin immune fab, recalling that the level does not necessarily correlate with toxicity and that chronic toxicity may present with "therapeutic levels," which are 0.5-2 ng/mL. You also obtain additional basic labs including chemistry, electrolyte panels, and serial ECGs. Next, you consider how to best manage digoxin toxicity, and reflect on several key points. Digoxin immune fab is indicated in chronic toxicity, cases of dysrhythmia, hyperkalemia >5.0 mEq/L, or acute digoxin ingestion >10 mg in adults or >4 mg in children. Traditionally recommended empiric doses of digoxin fab (digoxin-specific antibody fragment) range from 10-20 vials for acute toxicity and 3-6 vials in chronic toxicity. A recent study, however, suggested giving 1-3 vials (40-120 mg) of digoxin fab and repeating after 60 minutes if the patient is still symptomatic. 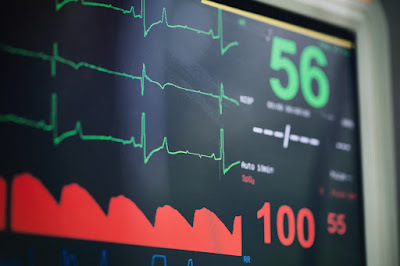 Cardioversion may be used only at a last resort, such as in an unstable patient. However, it may cause V-Fib, so use low energy (20-50J). Use atropine or pacing for symptomatic bradycardia. Use phenytoin or fosphenytoin for ventricular arrhythmias to improve AV conduction. Add magnesium for dysrhythmias, as many patients will be hypomagnesemic. In cases of hyperkalemia, fab will rapidly correct elevated potassium levels, but you may opt to give glucose and insulin, sodium bicarbonate, albuterol, furosemide, and perhaps kayexalate. The patient may also require hemodialysis. What about stabilizing the cardiac membrane with calcium in the setting of hyperkalemia and suspected digoxin toxicity? A case report from 1936 led physicians to believe that IV calcium in digoxin toxicity would result in a "stone heart," a "non-contractile state of myocardium" due to impaired diastolic relaxation from Ca-Troponin C binding during Na/K ATPase blockade by digoxin. However, a follow-up study on patients who received calcium in digoxin toxicity demonstrated no statistically significant increase in mortality. The retrospective chart review included 161 patients with digoxin levels >2.0ng/dL. 32% patients did not survive, 22% received IV calcium, and 20% did not receive IV calcium. No dysrhythmia was reported until 4 hours after administration of calcium. Multivariate analysis attributes mortality in these cases to the level of hyperkalemia: higher levels increased odds of death. It is important to note that most patients exhibited chronic digoxin toxicity in this study. An ancient Greek myth describes Medusa having the power to turn one into stone, an ability that later would lead to her own demise when faced by Perseus. Based on the available data reviewed above, the concept of digoxin causing a “stone heart” may be a myth as well. The fear of calcium use in digoxin toxicity with hyperkalemia seems unfounded but the evidence is limited, especially in acute toxicity. The idea of “stone heart” from calcium is likely just a myth; however, it should be noted that calcium is not the optimal treatment in these cases. Rather than likening calcium to Medusa’s stone-turning powers, treatment should focus on the real problem—the digoxin toxicity. Nevertheless, in a patient with unknown digoxin use and hyperkalemia, calcium should be used in the standard fashion. For digoxin toxicity, order digoxin immune fab, monitor and support your patient, and don’t get caught up in the idea of a mythical stone heart. 2. Howland MH Antidotes in Depth. In: Hoffman R, Howland MA, Lewin N et al. Goldfrank's Toxicologic Emergencies, Tenth Edition. McGraw-Hill Education / Medical; 2014.